It’s nice to know that Super Towing Ottawa is a company with all the qualifications we might need to provide you the service that you are counting on. But, it’s even better to know that here, at Super Towing, we can take care of you no matter what car trouble strikes! 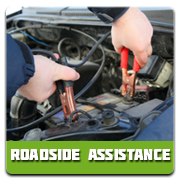 Our team of technicians have been equipped and prepared for efficient service to help you with all your car towing and roadside assistance needs. 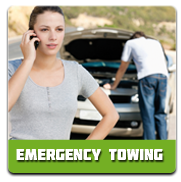 When you’re stranded on the side of the road or in a parking lot, if you need emergency or non-emergency towing services, one call and we’ll be there for you! We absolutely guarantee affordable rates – cheap tow trucks at your service! Emergencies happen. No matter the scenario, emergencies are stressful. Leaving your fate in the hands of a 9-1-1 operator means you can’t ever know for certain what kind of towing service you, or your family, are going to receive. Instead of letting fate throw you a curveball, call on the team of expert towing technicians you know you can count on to help you decrease stress and increase care. 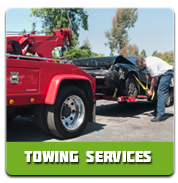 Super Towing will provide you with the fastest response and the most complete service. We offer complete towing services for any vehicle or property you might need transported, whether locally or long distance. Long distance towing can take a toll on your vehicle when not done properly. Our professional team can supply a flatbed towing truck, heavy-duty towing truck or light duty towing truck that will do the job the best without adding any extra wear and tear to your vehicle. Car Locksmith Services: Whether you’ve lost your car key, broken it off or simply locked it in the car, we’ve got the car lockout solutions you need. Our technicians can even cut replacement keys on the spot and program new transponder keys. Flat Tire Fix: We can help to repair tires, inflate flats & replace blowouts. Car Jump Start (dead battery solutions): In a parking lot or your own driveway, it takes two to jump a dead battery. Our quick response and top-of-the-line equipment makes short work of a jumpstart.